On Saturday evening our friend Tatsuya took us for a tempura meal at a very old tempura establishment in North East Tokyo. It is in a lovely old wooden house that has been there for over a hundred years and they serve hearty tempura on bowls of rice. Washed down with beer, it was the best apres-hiking food you could think of! 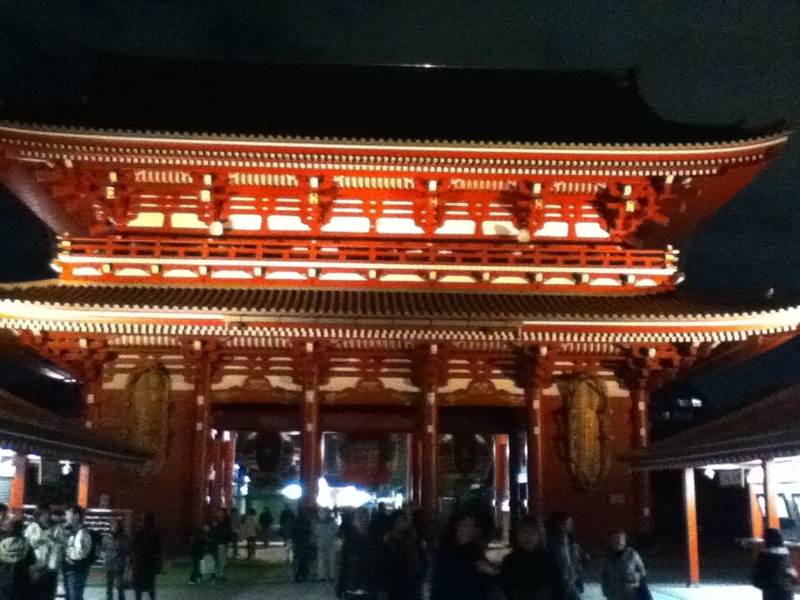 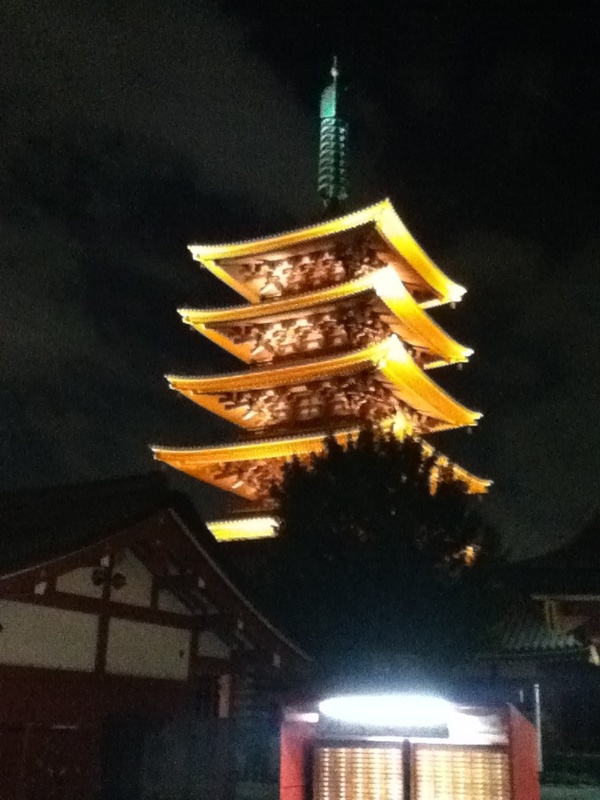 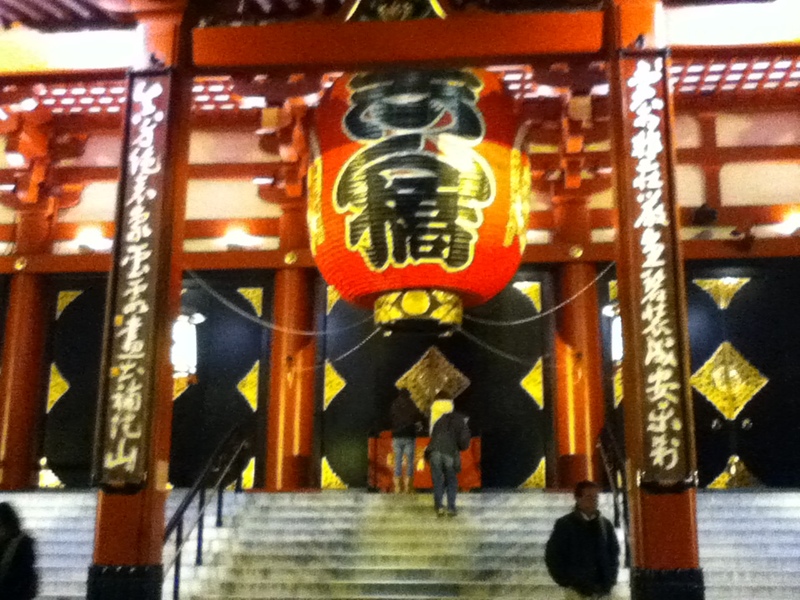 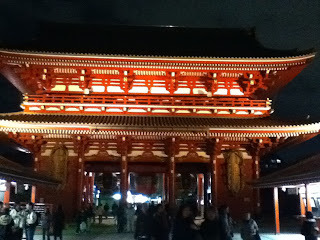 We then sauntered over to Asakusa, through Sensoji Temple, which was beautiful at night time (and no crowds! 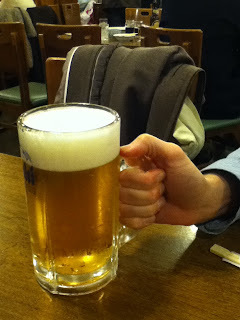 ), and on to one of the oldest Western-style bars in Tokyo where we sampled massive glasses of beer and the local spirit - Denki Bran. Not for the faint-hearted. 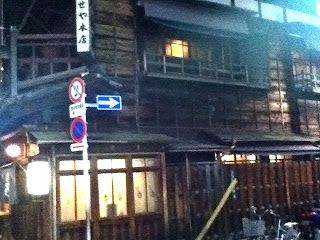 Not a great shot of the outside of the tempura restaurant.